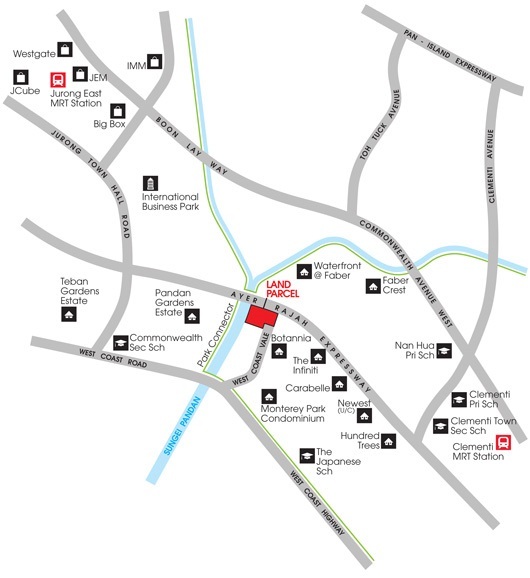 The land parcel is near to commercial amenities such as Westgate, Jem and Big Box at the Jurong Lake District. The future development is ideal for families with school-going children as it is near Nan Hua Primary School, Commonwealth Secondary School and The Japanese School. A requirement to use a prefabrication construction method for a site in West Coast Vale led to markedly cheaper land bids at a tender that closed yesterday. EL Development put in the top bid of $314.1 million or $551.15 per sq ft per plot ratio (psf pr) for the site, 3.2 per cent above the No. 2 bid by a joint venture of Hoi Hup Realty, Sunway Developments and Oriental Worldwide Investments. The six bids were well down on recent tenders, likely due to the requirement to use prefabricated prefinished volumetric construction (PPVC) and to the site’s position – fronting the Ayer Rajah Expressway and more than 2km from the nearest MRT station at Clementi. The lowest bid was by Singland Homes and Kheng Leong Co, at $236.9 million or $415.69 psf pr. “It will be one of the first sites to adopt PPVC for such a high-rise development,” said Mr Desmond Sim, CBRE research head for Singapore and South-east Asia. The site, which can yield about 595 homes, has a much higher maximum building height than recently sold sites with the PPVC requirement – a mixed-use site in Yishun Avenue 4 sold in January, and a condo site in Jurong West Street 41 sold in March, he noted. EL Development managing director Lim Yew Soon said the firm will likely build two blocks of 36 to 40 storeys each, with a mix of one to four bedrooms and cluster housing or town houses as well. The tender was in sharp contrast to the one for the nearby Waterfront@Faber site in June 2013, before the Total Debt Servicing Ratio was imposed, noted Mr Ong Teck Hui, JLL national director of research. A total of 18 parties contested for that site, resulting in a top bid of $687 psf pr. EL Development’s bid for the latest site was “cautious” given challenging market conditions and sales at nearby projects, he said. The total unsold units left in comparable condos nearby was 798 at June 30, said Mr Nicholas Mak, SLP International executive director of research, but this number is “not too excessive”. The fact that there are no other major condo projects in the Clementi area still to be launched for sale is also in its favour. The eventual condo could be launched at prices from $1,200 to $1,300 psf, he added. Register for the latest information on Parc Riviera condominium by filling up your details below!